Quilts By Christa: Hello, Blogland! Hello, Everyone! I have taken the plunge into blogland. I have been procrastinating on starting a blog. After all, what do I have to say that hasn't been said? Why would someone want to read what I have to say? 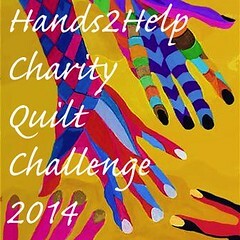 Hopefully some of you will come back often and follow my quilting journey. At the very least, I will have documentation of that journey. I plan to share with you my work as I go along, quilts I'm planning and, most important, quilts I've finished. I've been quilting for many years, but my finished quilts are relatively small in number compared to the quilt tops I've completed. (When -- not if, but when -- I get my longarm machine, I will have a good supply of samples to work on for practice!) I'll also share with you some tips and maybe have some treats along the way. Stay tuned for a couple of blog hops I plan to participate in. My goal for my next post is to figure out how to add a photo and how to add buttons for the blog hops. Should be fun! Nice to officially meet you Ms. Christa!! I found your blog and am happy to say I'm a follower now :) I best be getting to a quilt that needs to be done real soon, eh? Congratulations and welcome to blogland...trust me in six months you will be blogging like a pro. You will have lots of buttons and pictures. I'll be visiting often...happy stitching!! Welcome...I'm learning about all this blogging as I go. Lovin it. Welcome aboard! You and I are the same day on the WICKED BLOG, so hopefully we will pick up some new followers. I'm following you not.